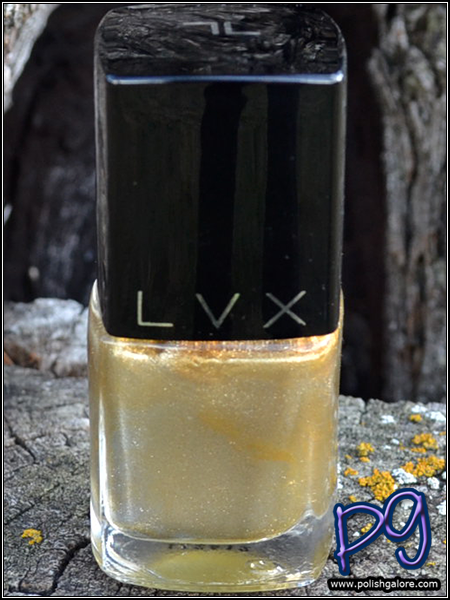 From last year's Winter Resort Collection, LVX came out with a beautiful metallic-like shimmer gold - Alchemy. Now, you know how I feel about gold - it's pretty but not on my skin. Regardless, I was happy to see this line come out with a gold for those who do rock the look. I used a base of Cult Nails Get It On, 2 coats of polish and Cult Nails Wicked Fast to top. The formula was very good on this bottle - no streaks or pulling and no flooding in the cuticles. You might feel more comfortable wearing a ridge filling base coat with this polish if you have deep ridges but for the most part, I found this polish very easy to wear. LVX [Website | Facebook | Twitter | YouTube | Instagram] is available on their website for $16 a 15 ml/0.5 oz bottle. It is big 5 free to include Toluene and Camphor, vegan and cruelty free. Very clean, smooth finish. I think gold looks fine on you! OOOOO! Look at the shine on that! Thank you! I think it's just one of those mental block things. Thanks! 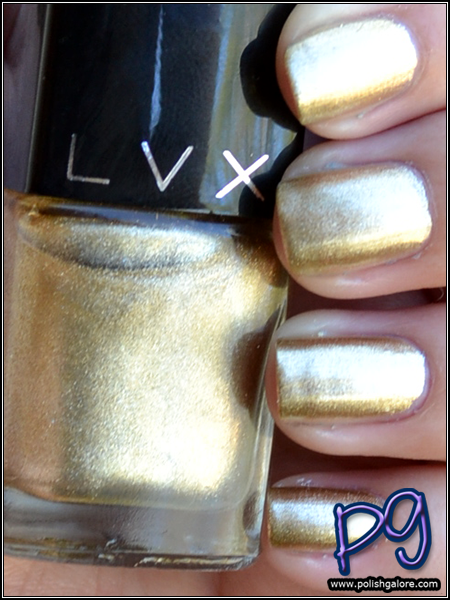 Yeah - LVX has been really good about always having high shine - top coat brings it out even more!